If you're headed to Liverpool, you'll want to check out some of the Beatles attractions in the city. After all, where better to delve into the history of the world's most famous band than where it all began? The original Beatles story is located in the historic Albert Dock on Liverpool's famous waterfront. Grab a set of headphones and take a guided tour courtesy of audio recorded by John Lennon's sister Julia. 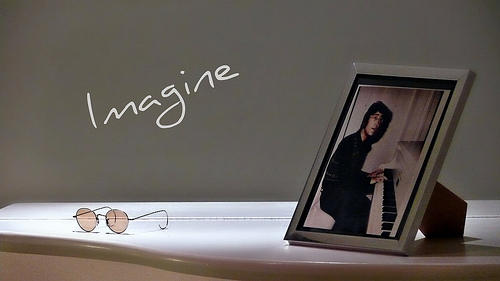 The many different sets include the 'White Room' where you can enjoy a poignant version of Imagine. Growing visitor numbers led to the attraction expanding into a second site - The Beatles Story Pier Head - where you can check out the bands journey to international stardom by watching the Beatles Fab4D virtual show. A dedicated shuttle bus runs between the two exhibition sites, although the ten minute walk along the waterfront is an attraction in itself. 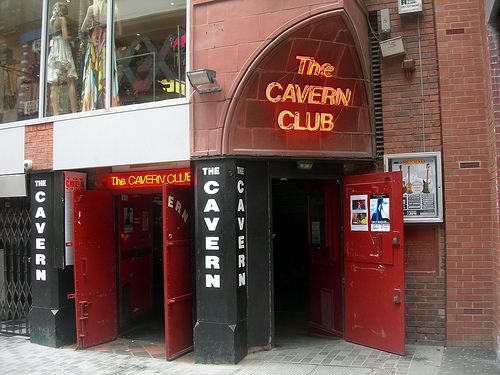 Although the Cavern Club first opened its doors as a jazz club in January 1957, it was slowly overtaken by blues bands and beat groups playing the inimitable style of rock and roll that would later become known as Mersey Beat. Between 1961 and 1963, the Beatles made almost 300 appearances at the club. The club closed in 1973, reopening 11 years later and resuming live music sessions in the 1990s. In 1999, Paul McCartney performed his last gig of the century at the Cavern, simultaneously declaring the club 'the most famous in the world'. Eight years later Liverpool hosted a celebration of '50 years of The Cavern Club'. To this day, it remains one of Liverpool's finest destinations for live music with a grassroots approach that continues to showcase some of Liverpool's most talented musicians. The Cavern Club is often more closely associated with the Beatles, so you might not realise that the true launch pad of the group was actually the Casbah Coffee Club. After enduring a long closure, this unique basement club now offers tours, so you can see for yourself where the group's very early performances were held. You'll find it crammed with instruments, hand-drawn posters, microphones and amps. Look upwards to see the silver stars on the ceiling, each one painted by the lads themselves. The childhood homes of John Lennon and Sir Paul McCartney are now owned and maintained by the National Trust. Both have been preserved to represent an authentic version of how the houses looked in the 1950s and 1960s. Mendips, the childhood home of John Lennon, is where some of the group's earliest hits were written. Listen to an audio recording of a former lodger as they reminisce about life with the young Lennon and take a look at numerous photographs, documents, and other memorabilia. Sir Paul McCartney was raised in 20 Forthlin Road where, as well as the authentic furnishings, the attractions include numerous family photos. 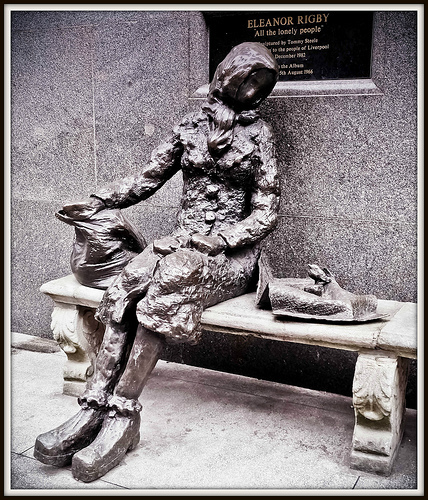 Primarily written by Sir Paul McCartney, the song 'Eleanor Rigby' was originally released on the 1966 album Revolver. It remains one of the group's most recognisable songs with its haunting lyrics about death and loneliness. Opinion varies as to where the idea for the song title came from. Some say that Paul got the name from a grave at St. Peters Church in Woolton, Liverpool, while others believe that the inspiration came from the name of his co-star, Eleanor Bron, in the movie Help. Wherever the idea came from, people still flock to see both the grave and the statue of Eleanor Rigby on Stanley Street. Dedicated to 'all the lonely people', this haunting statue was created in 1982. You'll want to make a stop at Mathew Street - home of the Cavern Club and the starting point of the city's Magical Mystery Tour. Look skywards to see the iconic statues of the Beatles placed high above street level. The statue called Four Lads who Shook the World features Mother Liverpool holding three babies, with a fourth baby having grown wings and flown away. It's an obvious nod to Wings, the band that Paul formed after leaving the Beatles. Although fairly lively the whole year round, the street comes alive each August for the Liverpool International Music Festival (formerly the Mathew Street Festival). Take a look at the Mathew Street webcam to see what's going on in the area right now. These attractions may not be open 'eight days a week', but they'll keep you busy for at least a day or two. Lennon and McCartney's homes must be a fascinating place for any Beatles fan to visit. Absolutely, they just look normal from the outside, but when you go inside, they're fantastic. It's a great opportunity to see where Paul and John grew up, but also to see what the houses looked like back then.